At Clearpak we take pride in the visual impact we are able to offer our customers for their retail packaging, point of purchase displays, shelf-talkers and price cards. 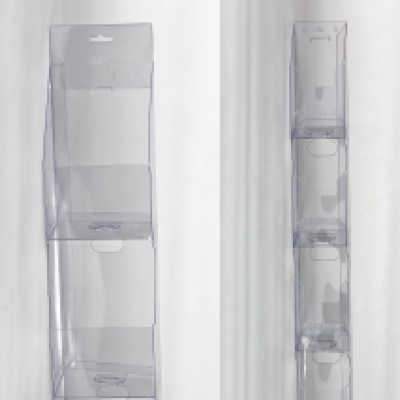 Our gallery gives you a quick look at the types of transparent packaging we are able to offer, as well as who some of our customers are. 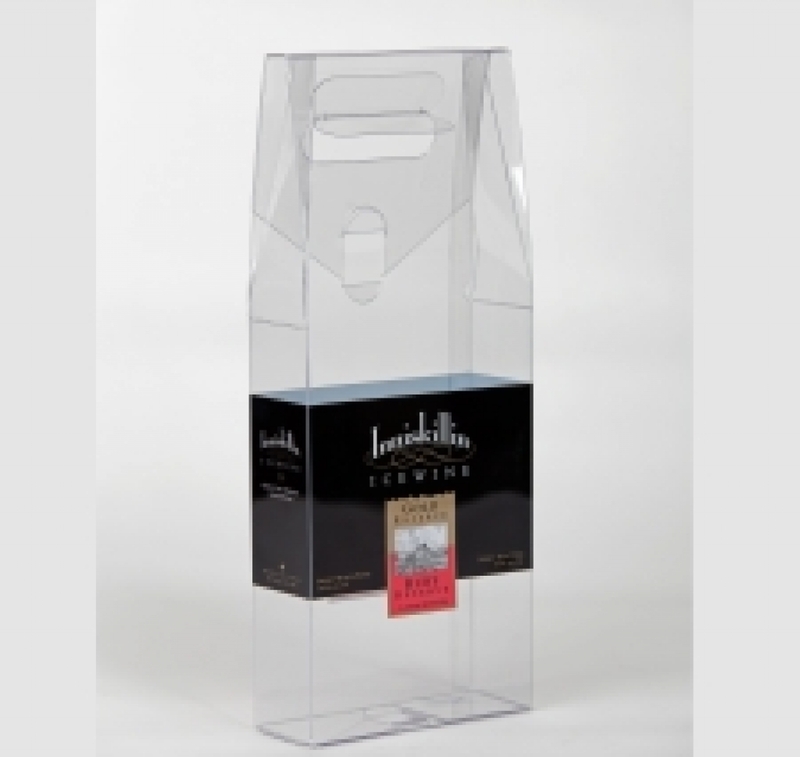 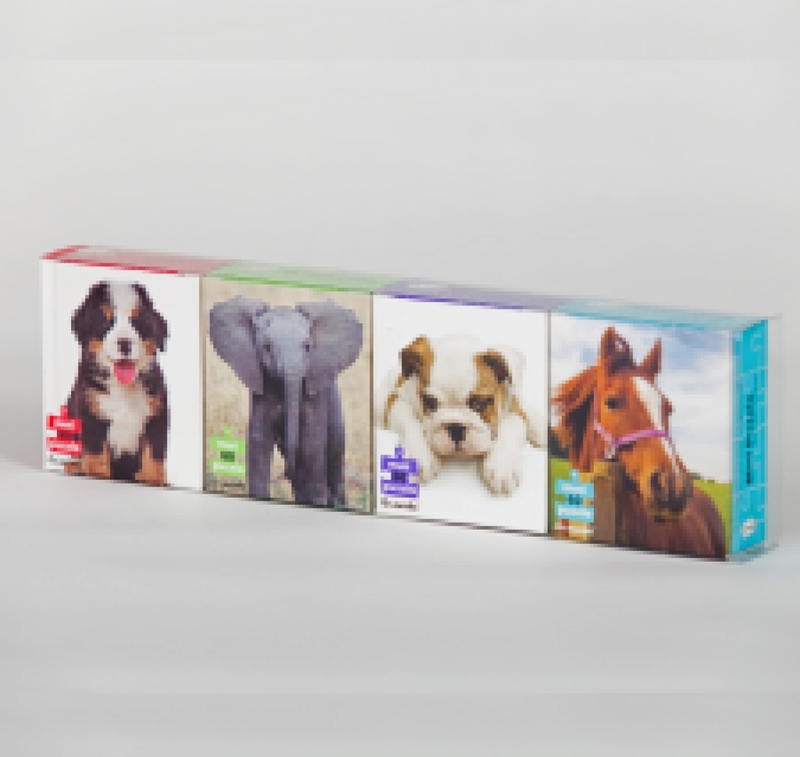 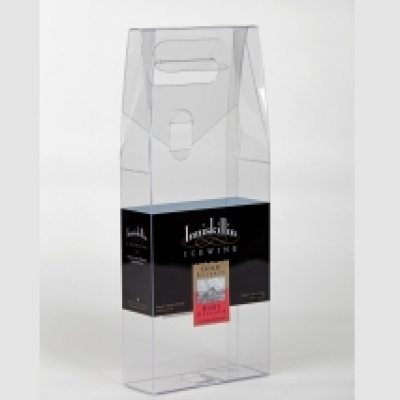 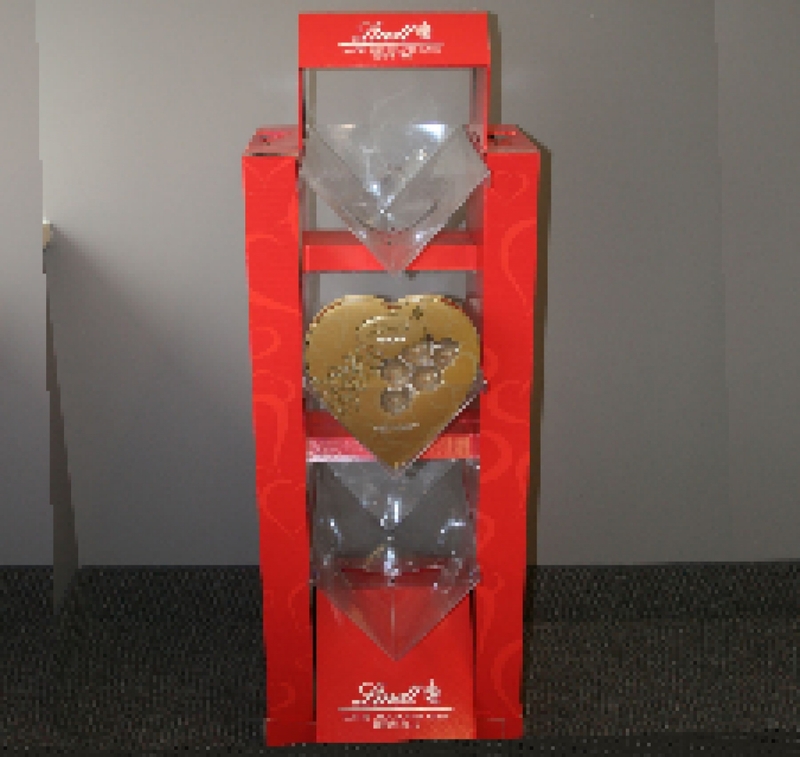 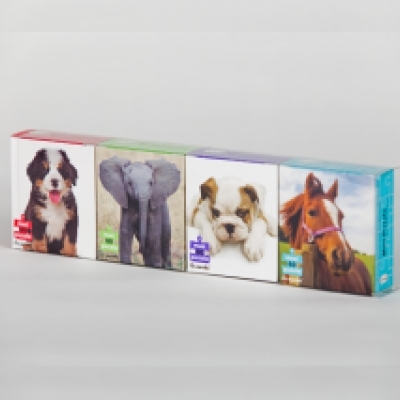 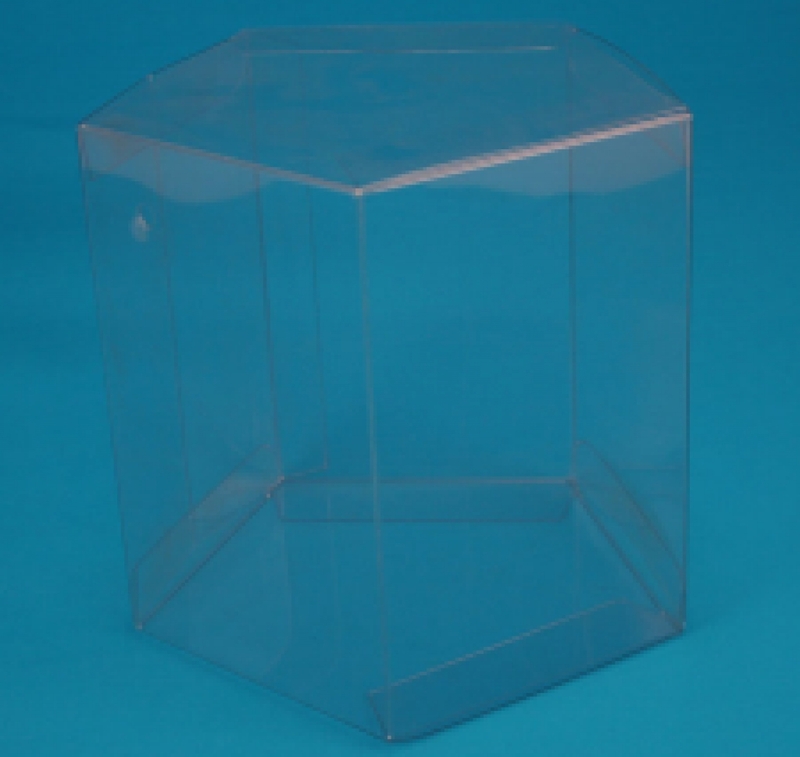 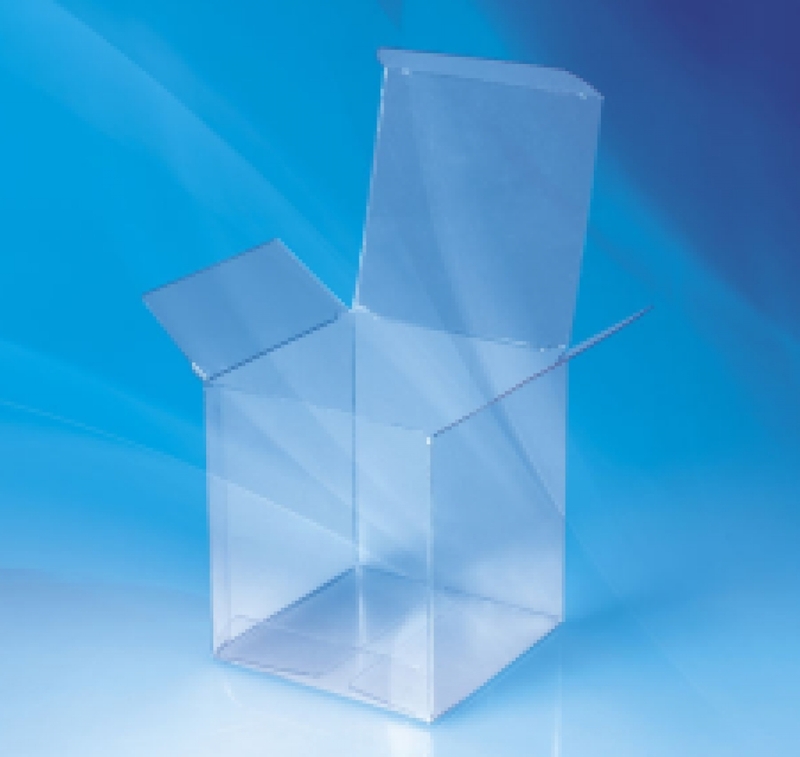 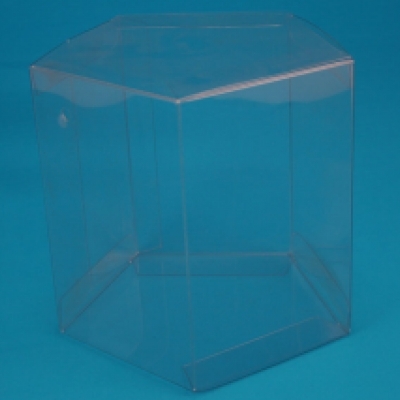 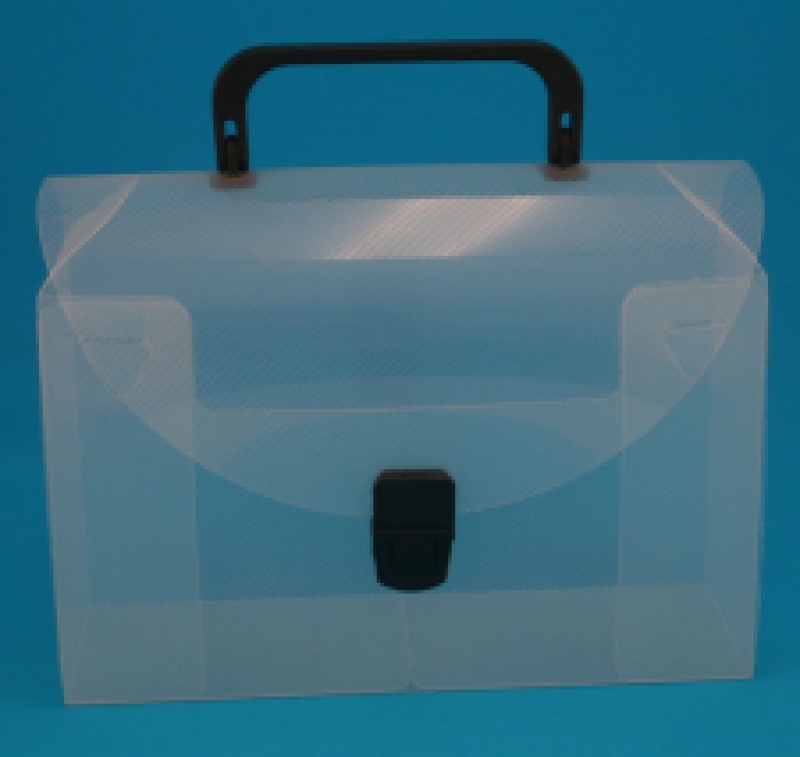 A transparent view to your product is possible with the use of our PET, PVC, APET, RPET, or PP folding cartons. 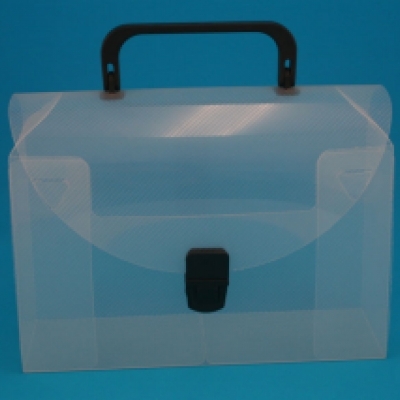 Size, shape and closure styles are virtually unlimited. 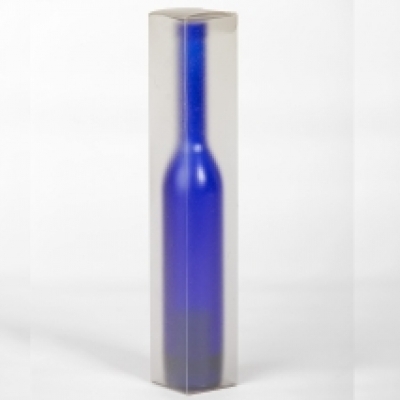 Customizing your packaging to your product is what we do best. 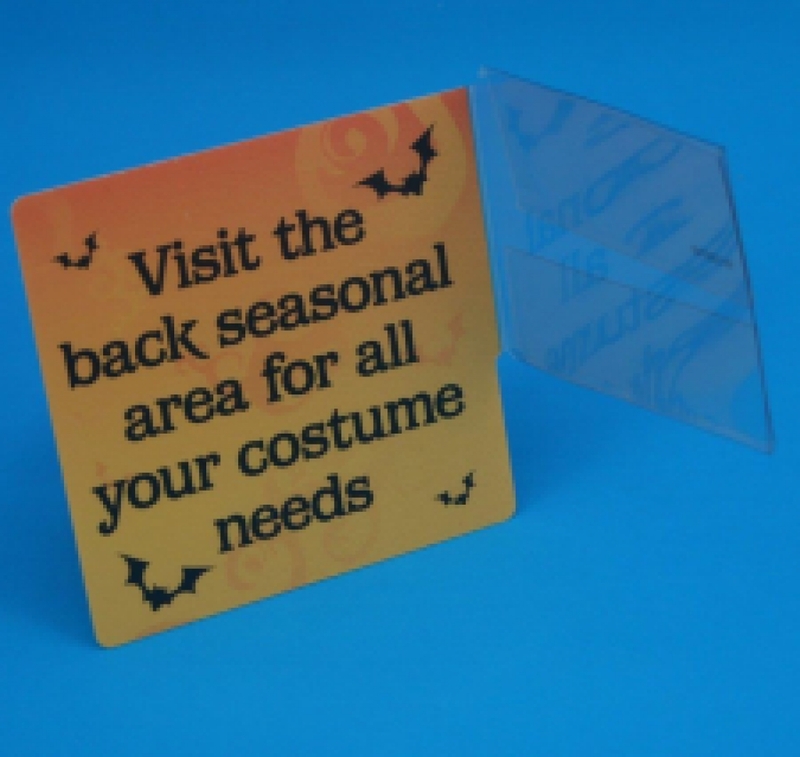 Perfect to allow your product to speak for itself, or add a printed paper insert or label for added branding and product information. Printed Transparent PVC, PET, APET, RPET or PP folding cartons, boxes and tubes allow your branding while providing a clear view to your retail product. 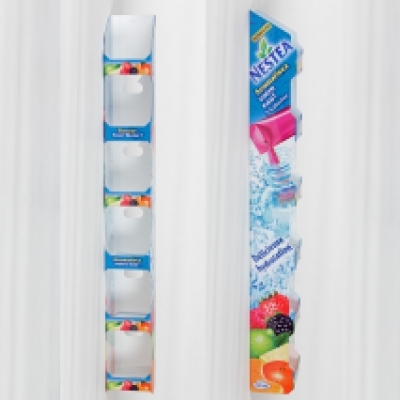 Viewing your product easily from the store shelf can be be the difference between the consumer buying your product or your competitors. 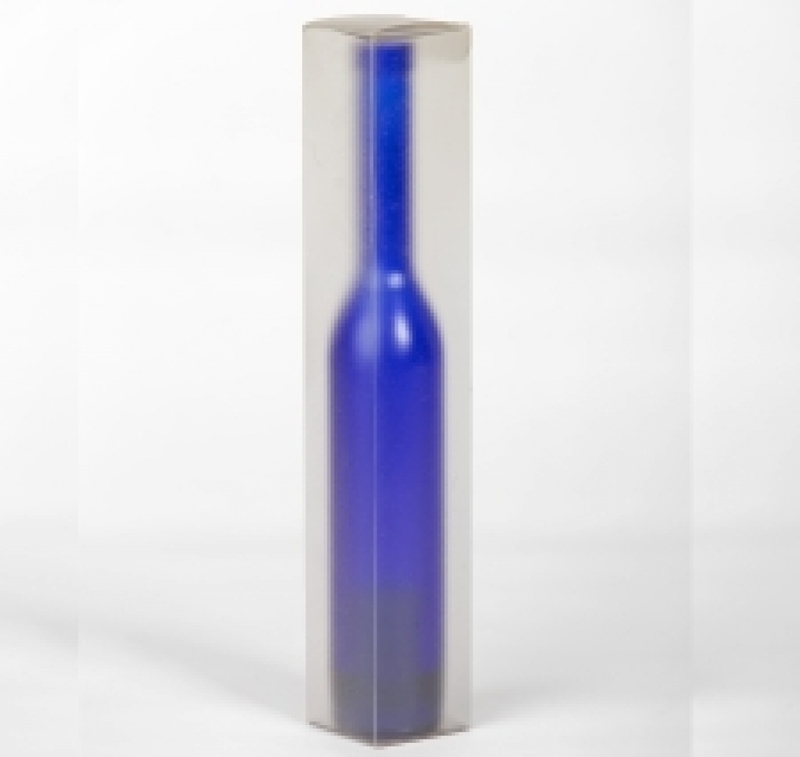 High resolution litho printing, foil stamping, embossing, debossing or screen printing will easily enhance your packaging for the visual impact you need in a retail environment. 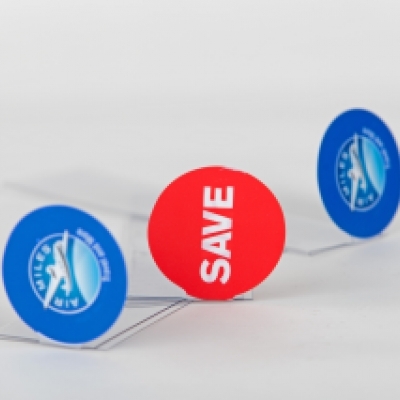 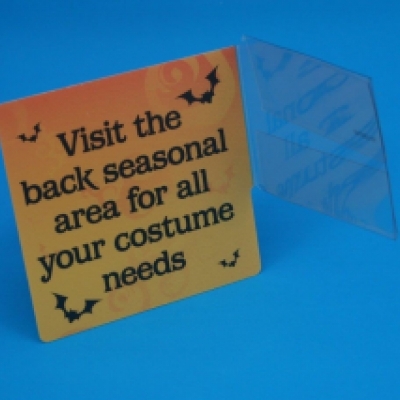 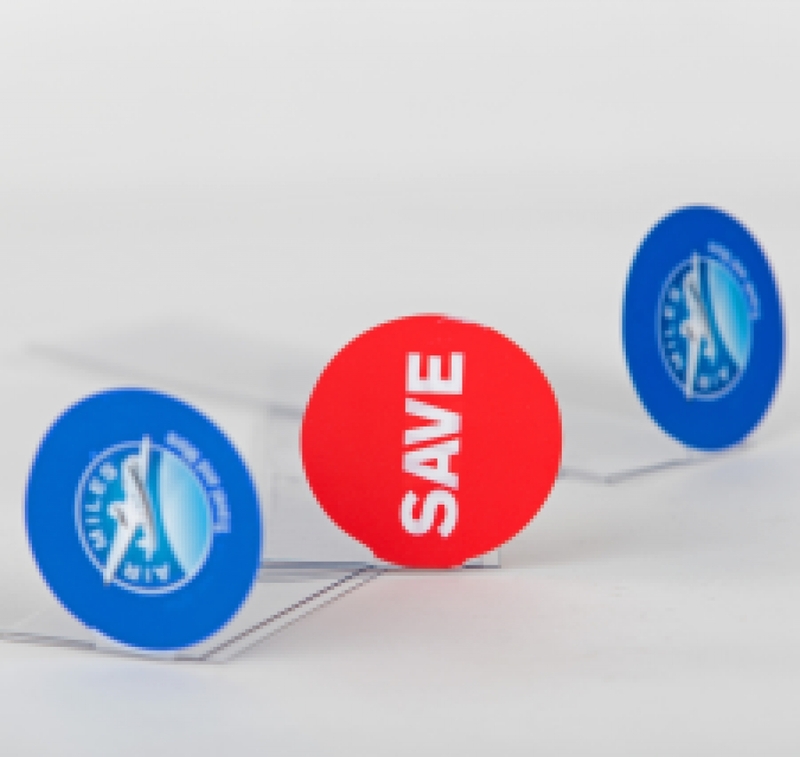 Capture attention with Clearpak's long-lasting plastic shelf flags, shelf talkers and price cards. 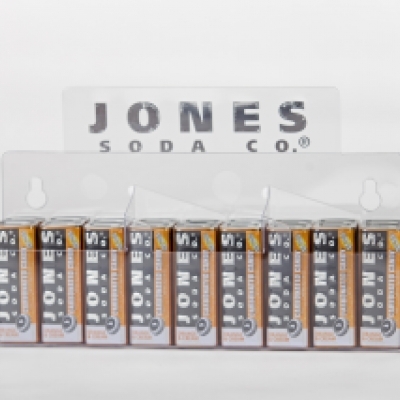 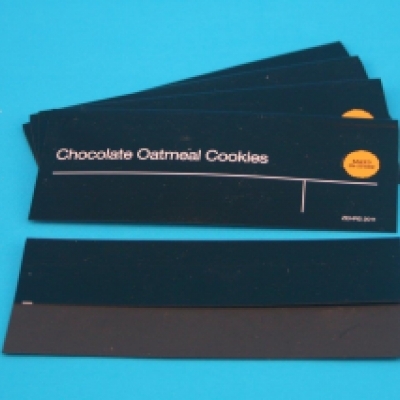 Shelf flags and price cards are the most crucial and final communication tool for powerful brands and retailers. 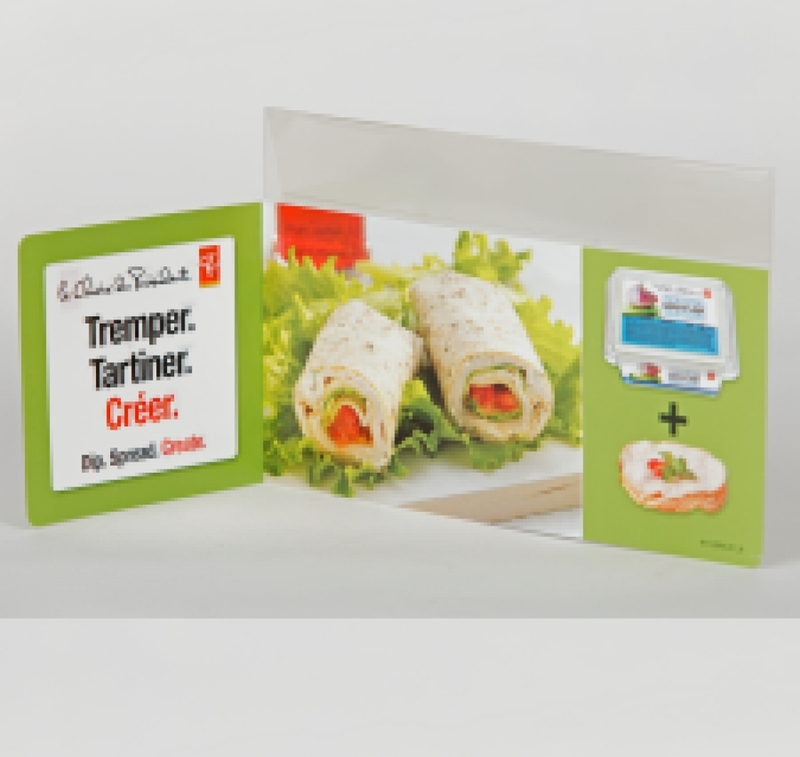 We specialize in designing inviting custom self-talkers/flags to magnetize consumer gaze and cause them to engage with a new product, sale or featured item. 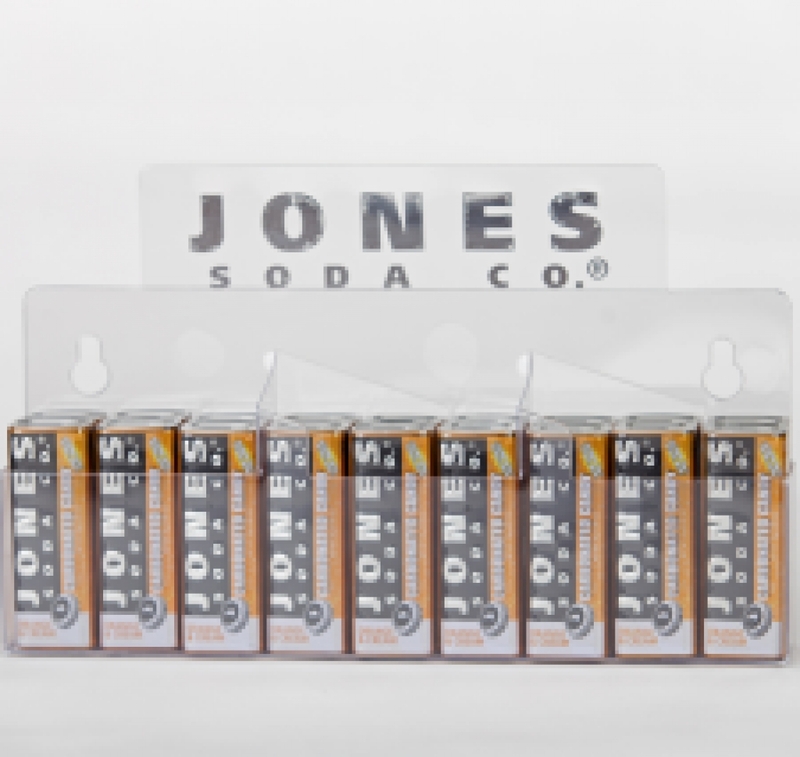 We use high-speed heat bending to create your expertly-designed shelf flags and price cards for strategic brand placement on the shelf. 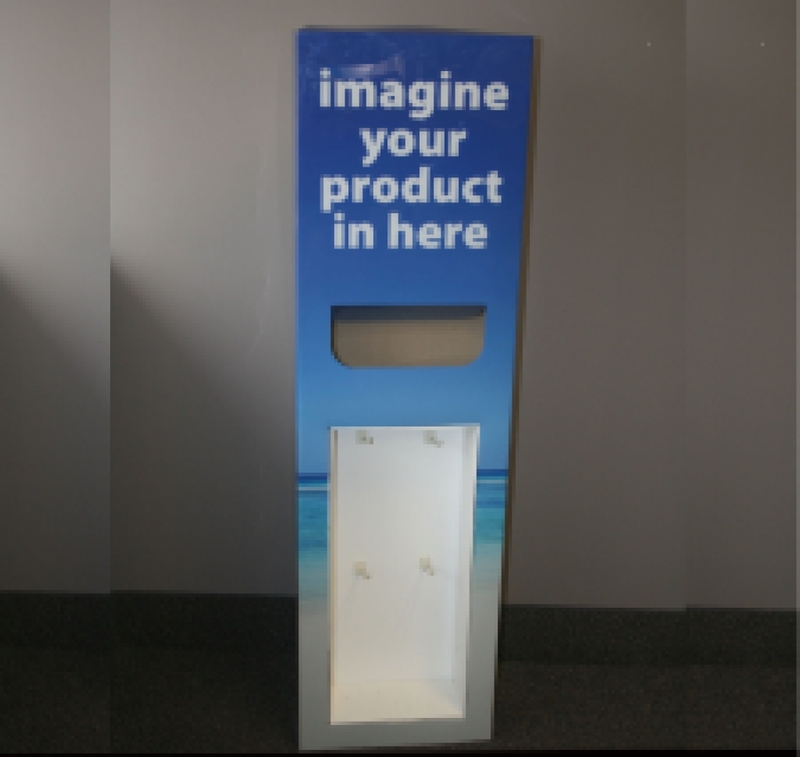 Our creative packaging experts love to dig in and bring your ideas to life for retail point of purchase displays (POP). 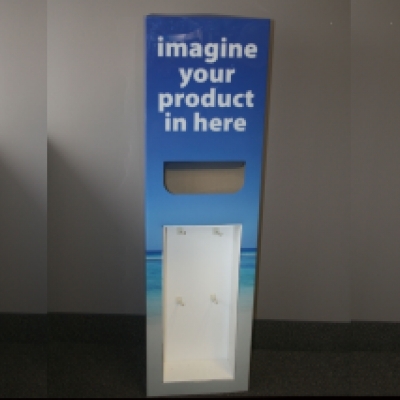 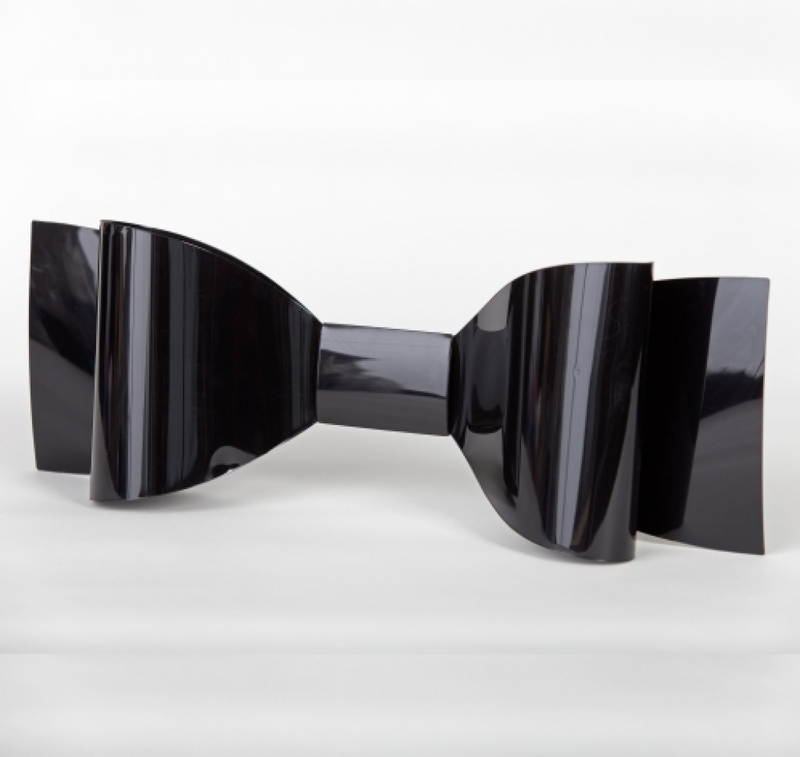 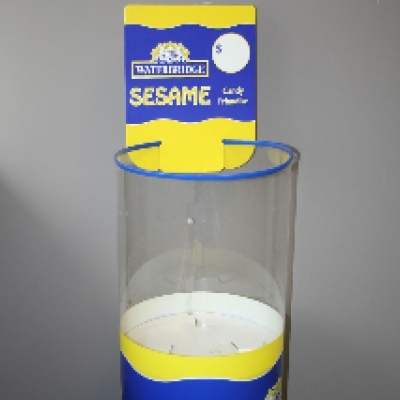 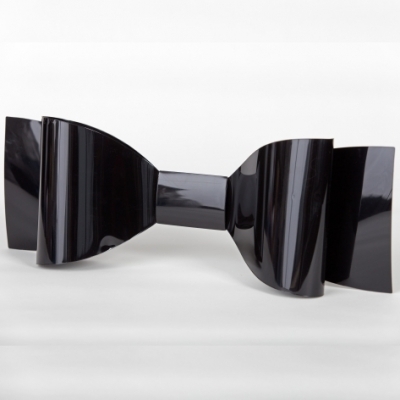 What we can create to grab attention in the retail environment for your product is limited only by your imagination. 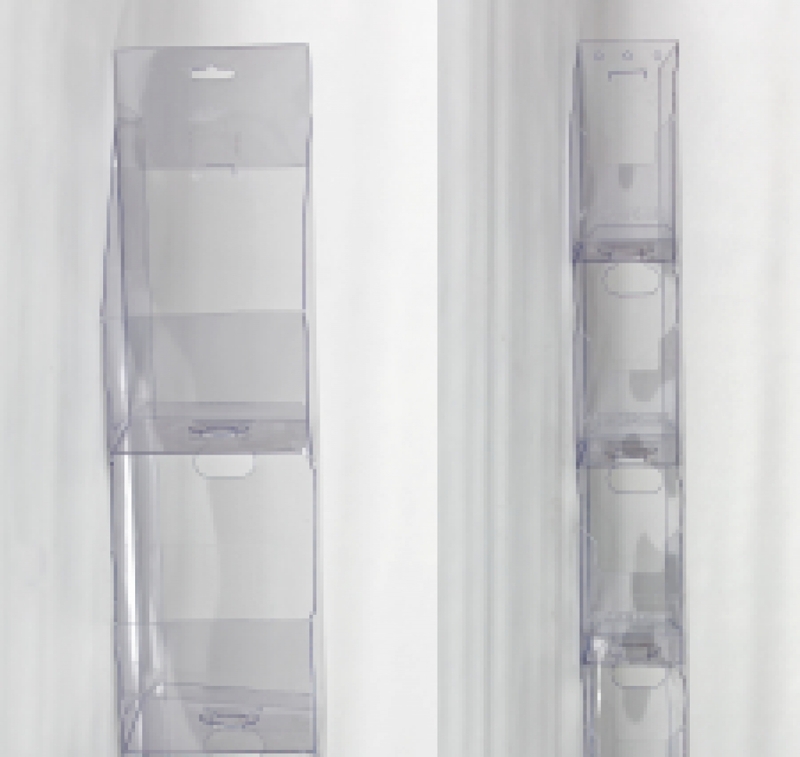 Stand alone, counter top, and floor models are enhanced by the light-weight and transparent nature of the displays we create. 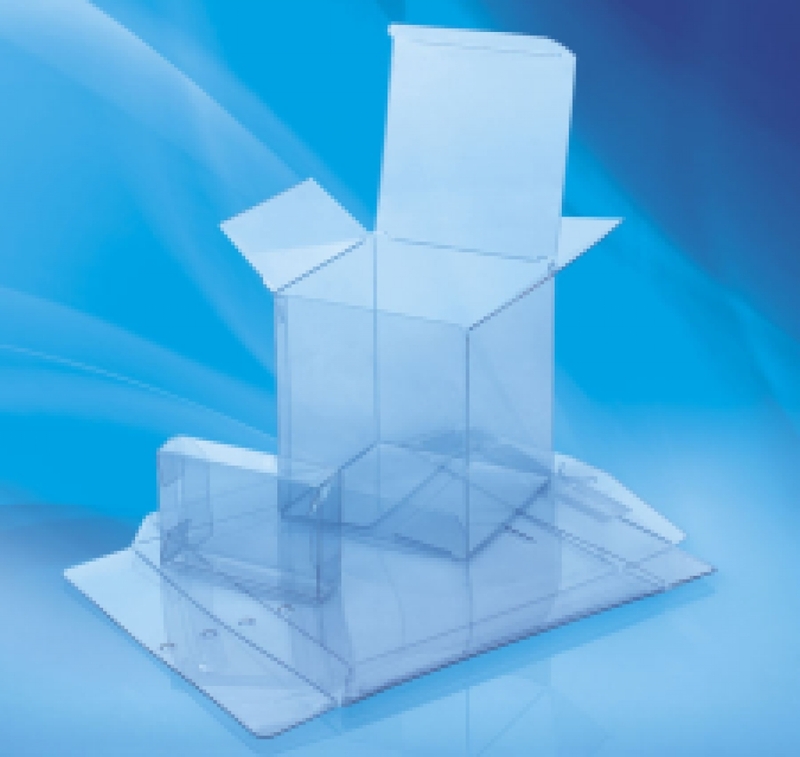 We can add strength to your paperboard displays by wrapping in plastic film, even printing on that film for an added WOW to your retail display. 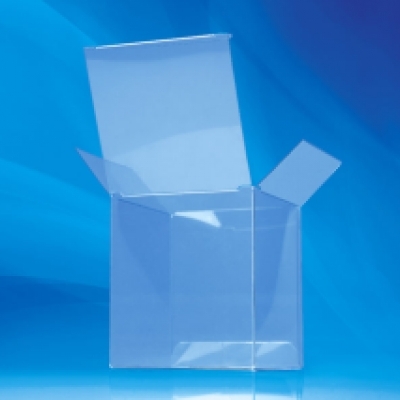 Product security inside your packaging is a must to keep your product from moving around inside the package. 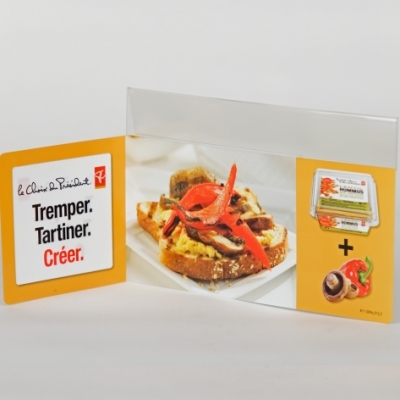 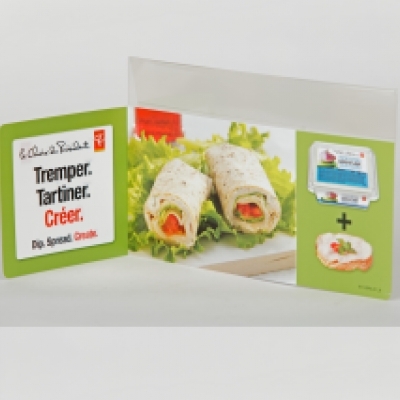 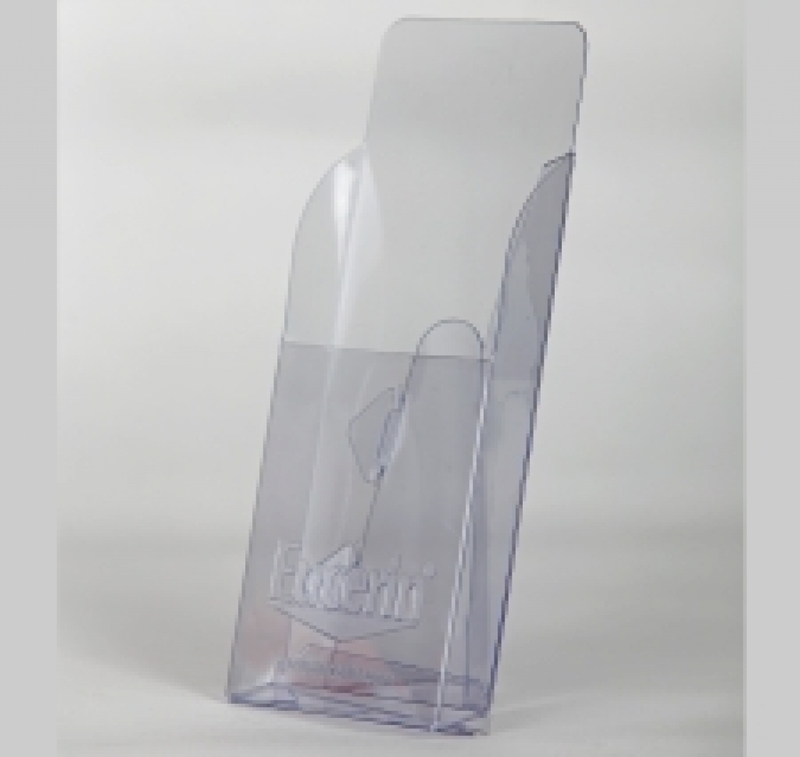 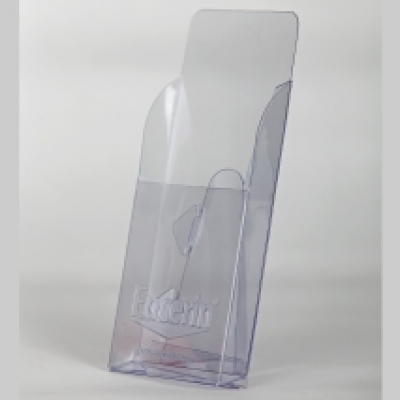 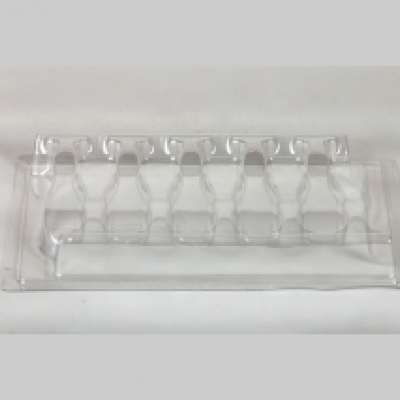 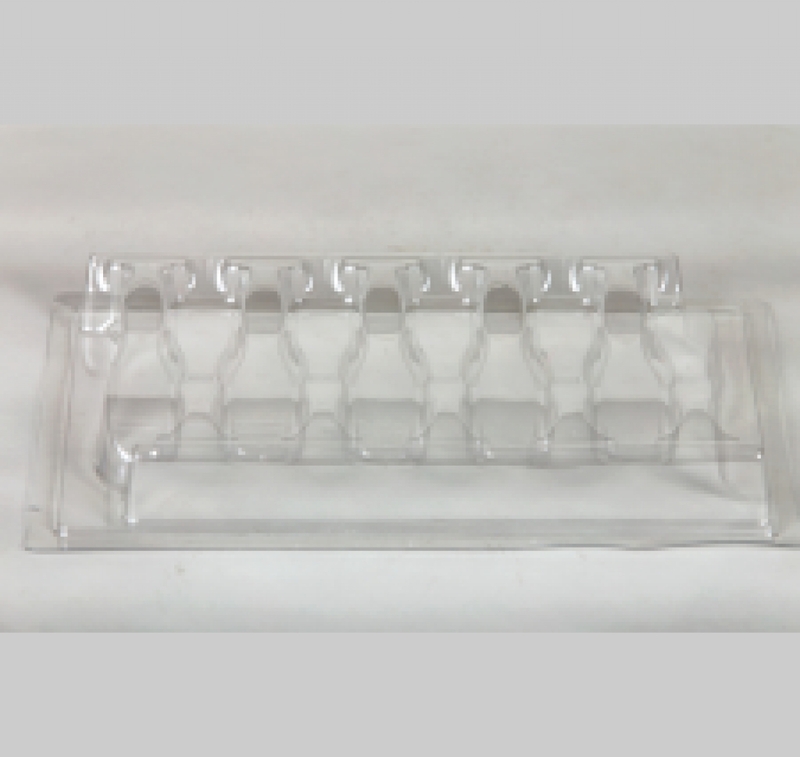 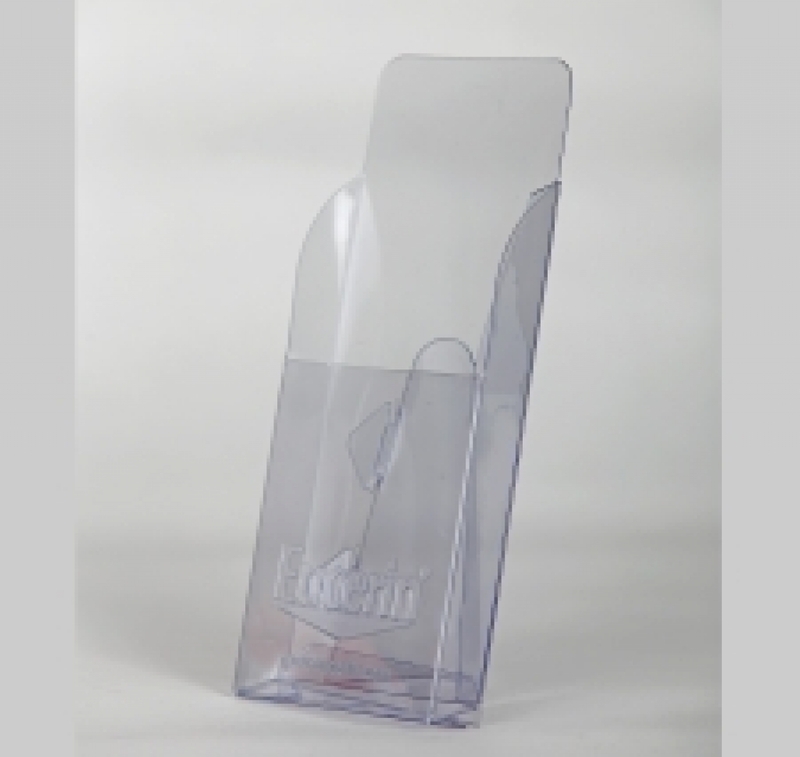 Custom thermoform, vacuum form inserts or blister packs do the job perfectly. 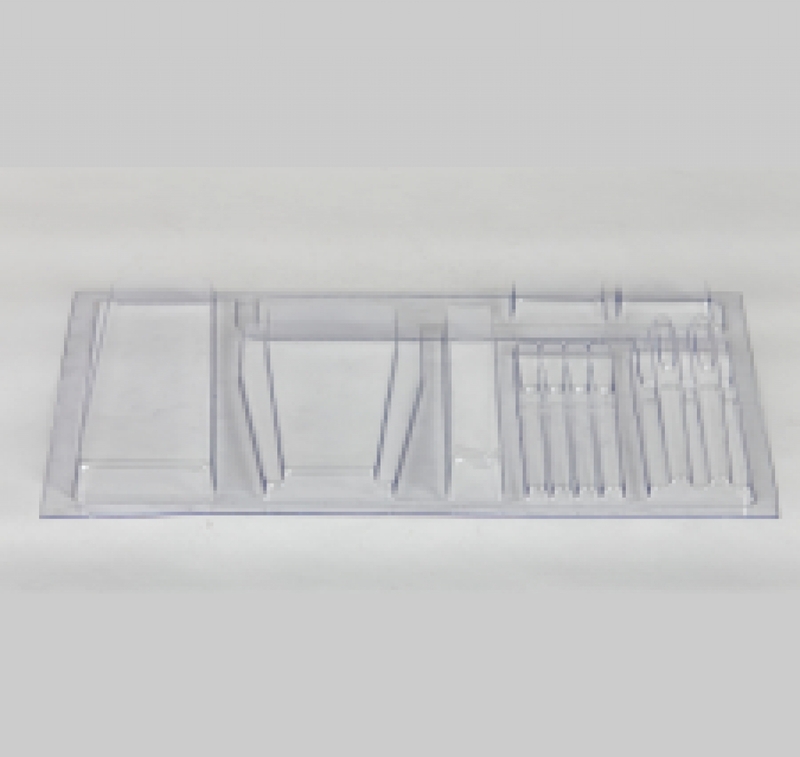 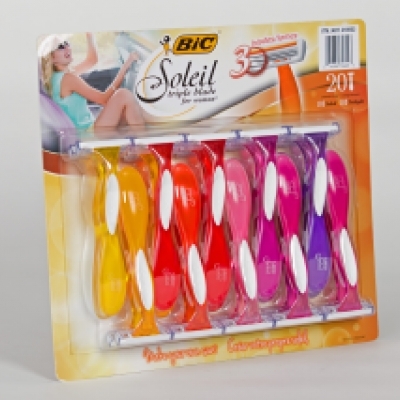 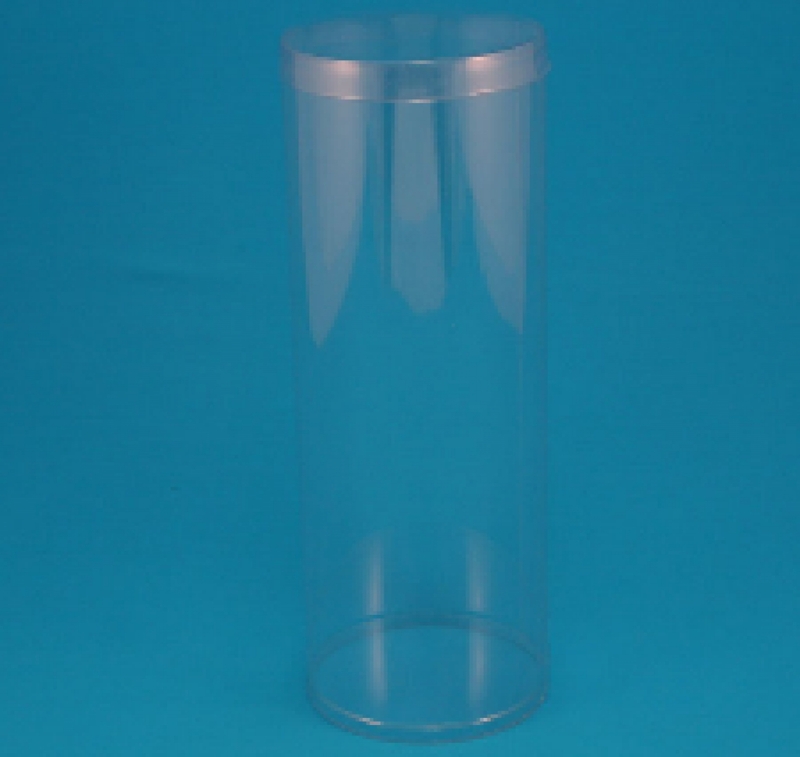 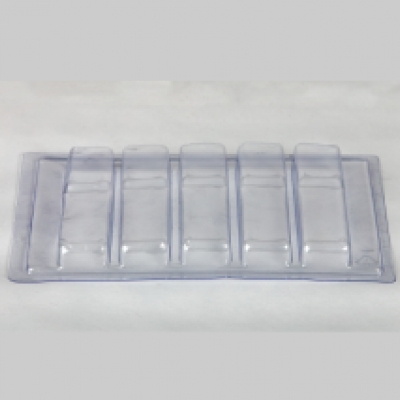 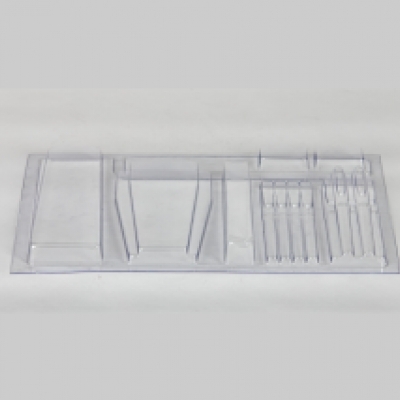 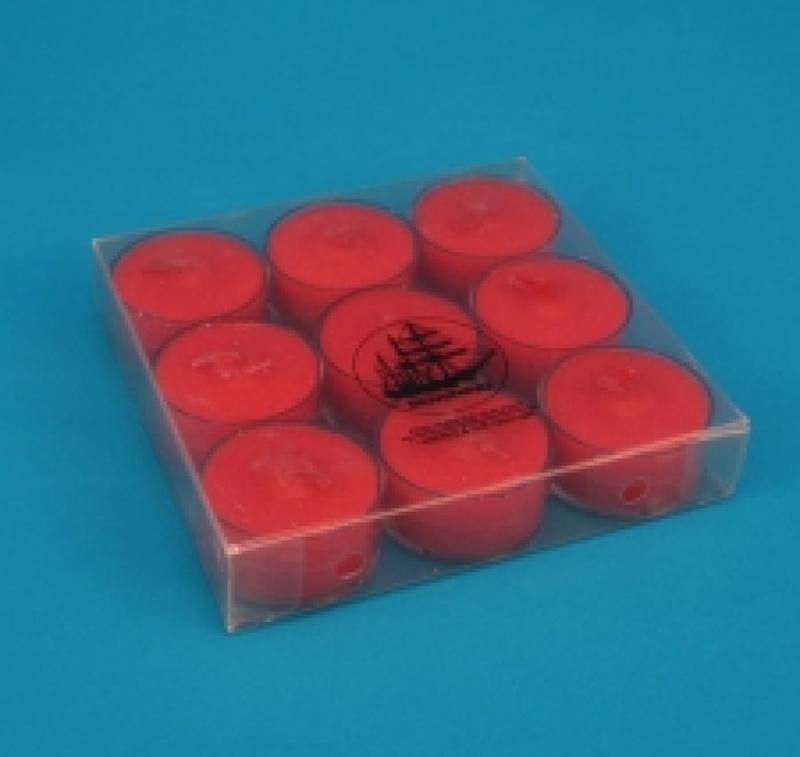 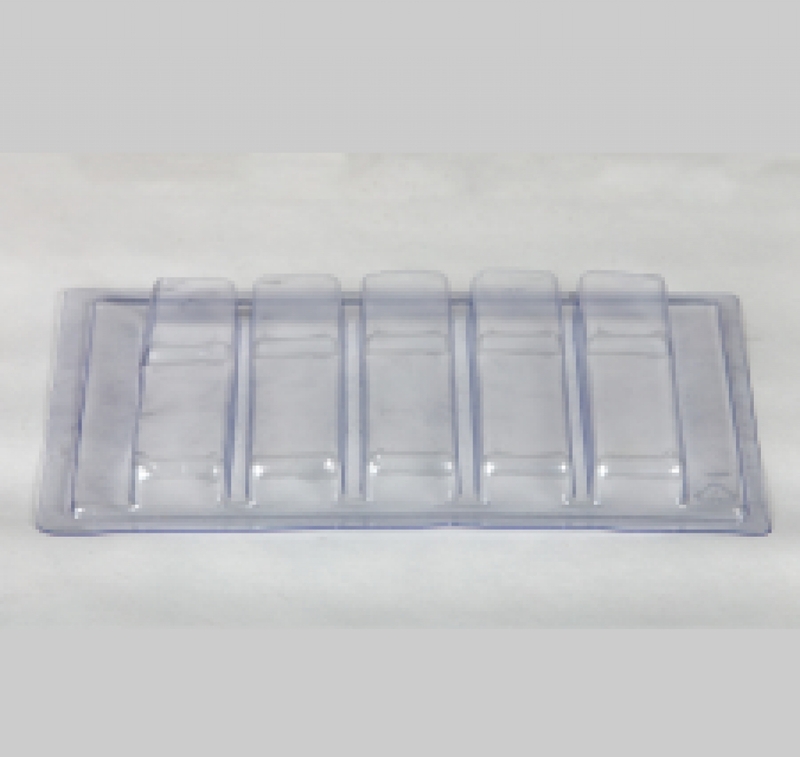 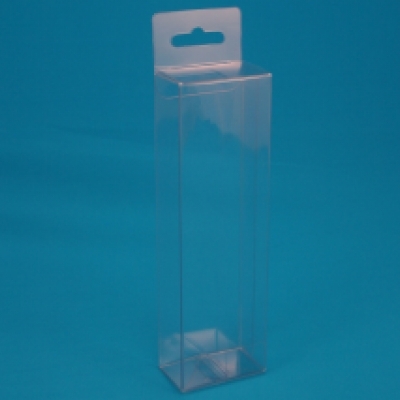 Molded to fit your product, the inserts can be placed inside our clear plastic boxes, cartons, sleeves and tubes. 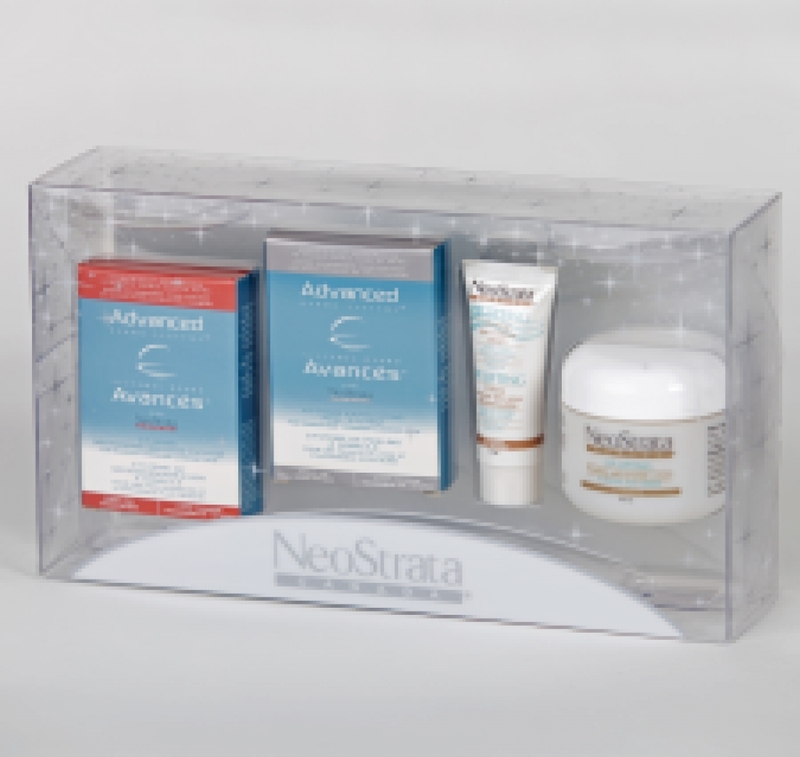 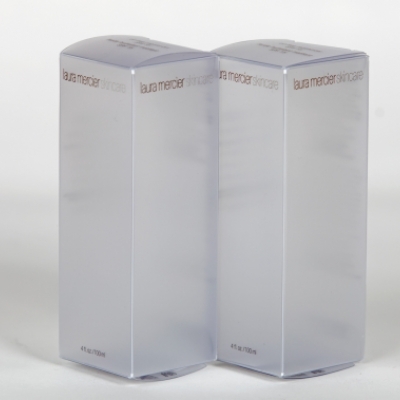 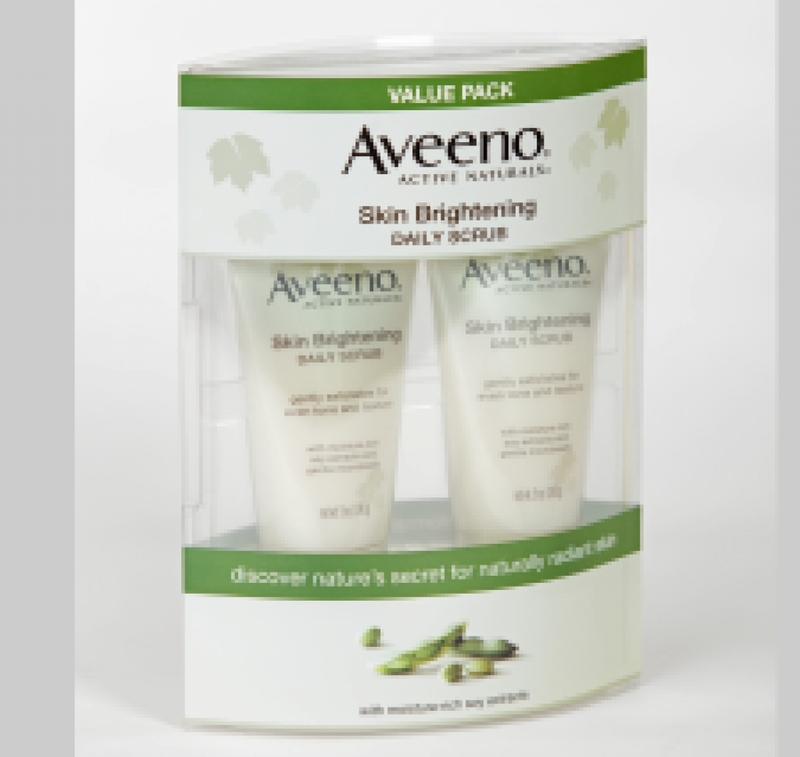 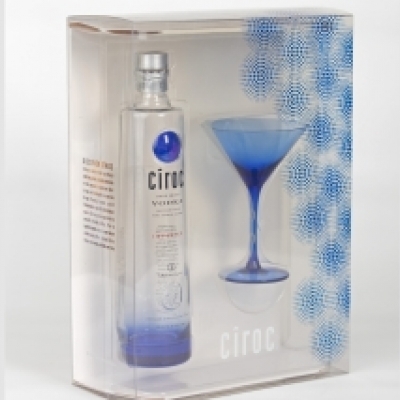 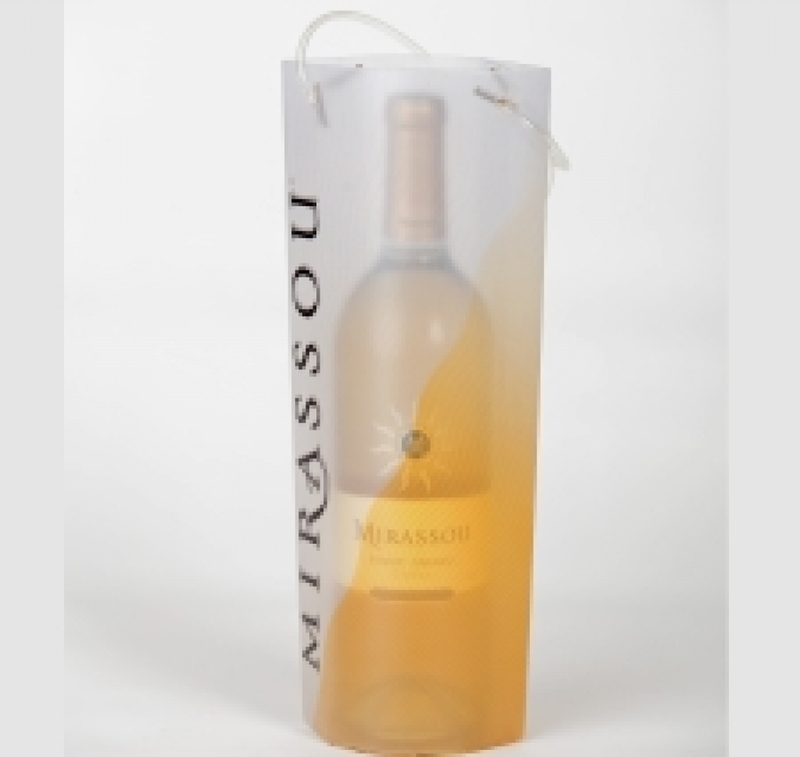 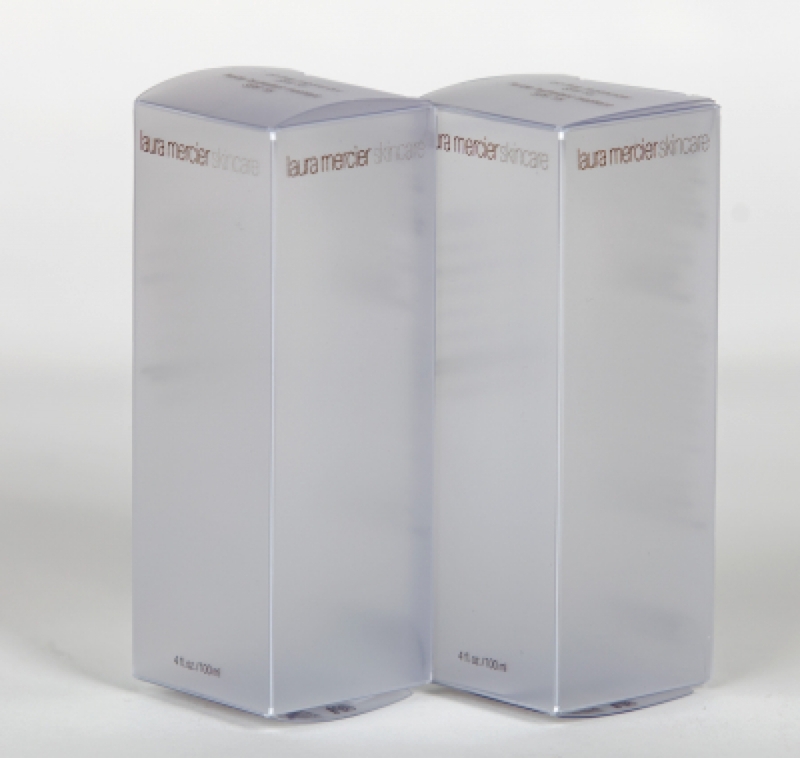 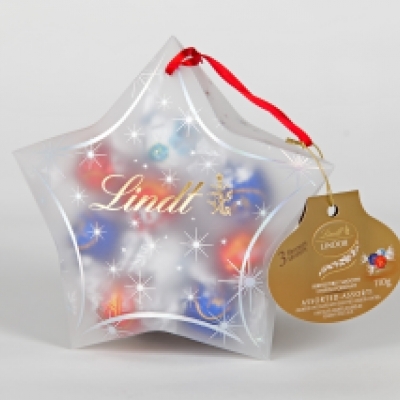 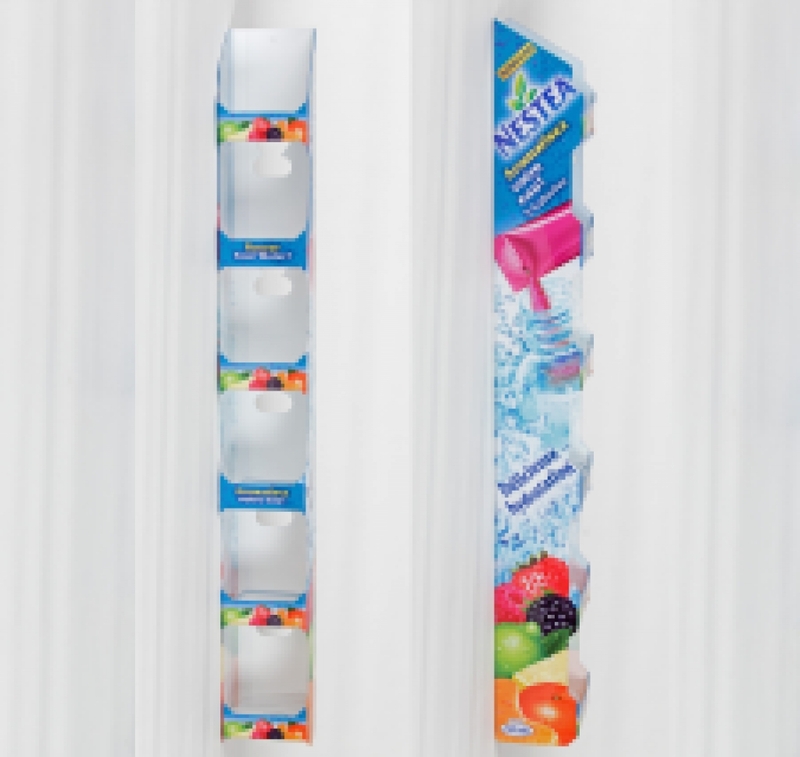 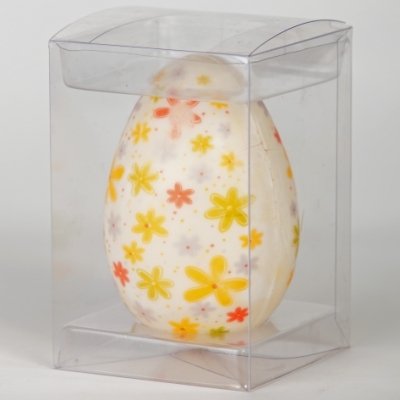 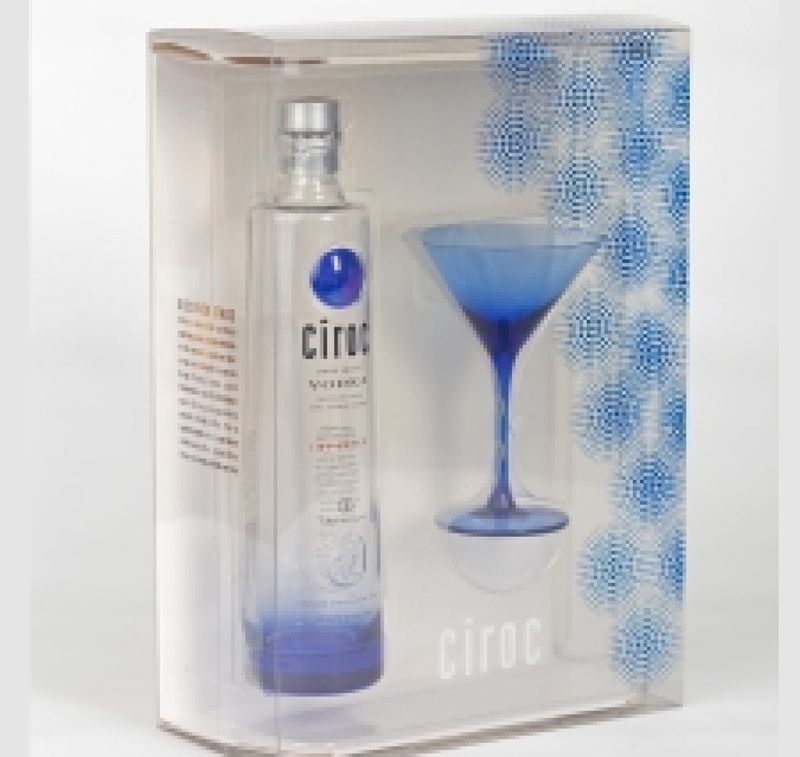 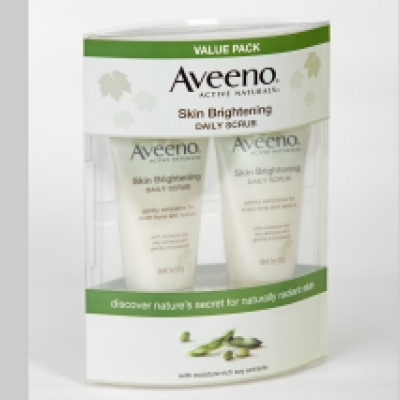 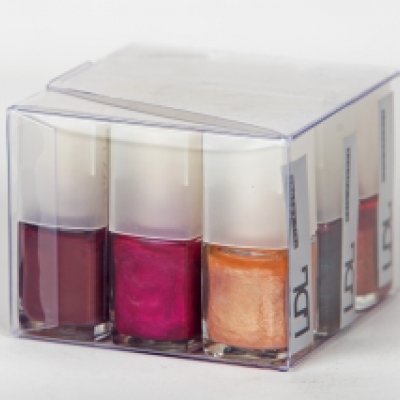 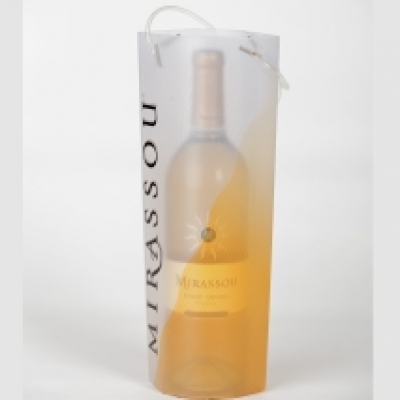 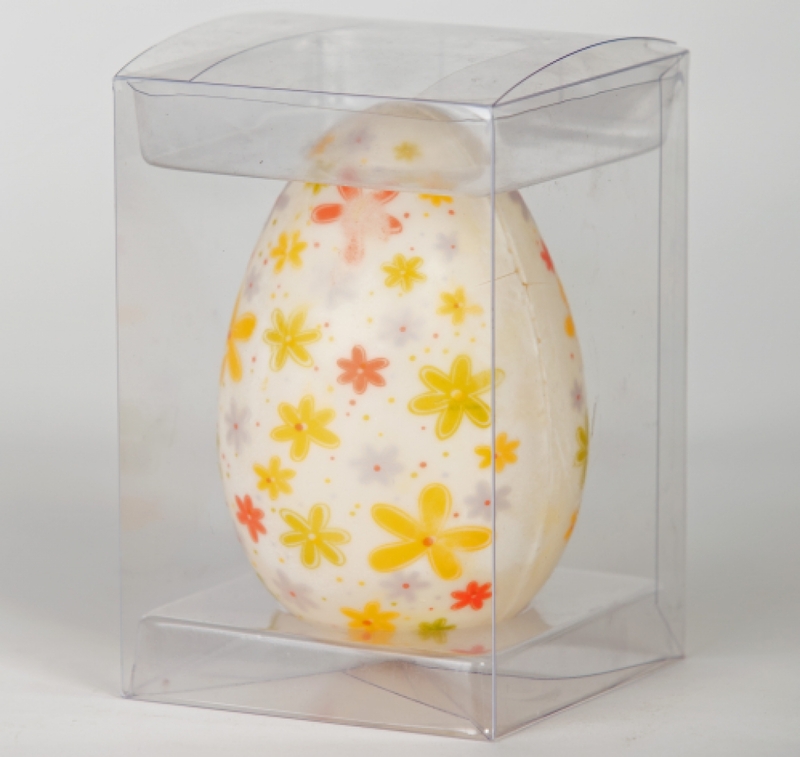 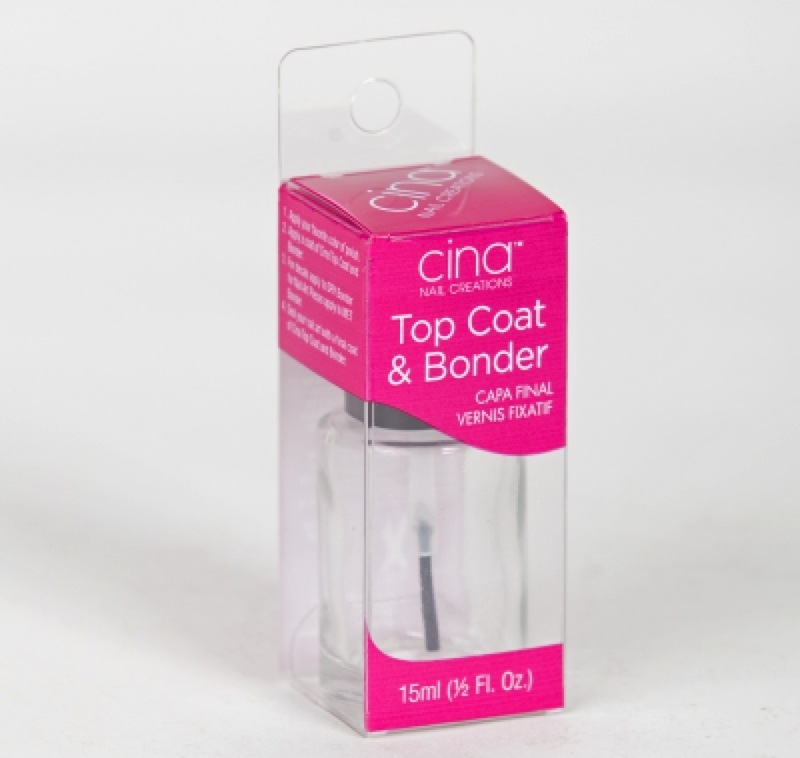 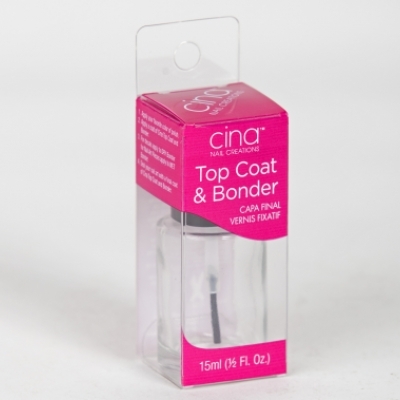 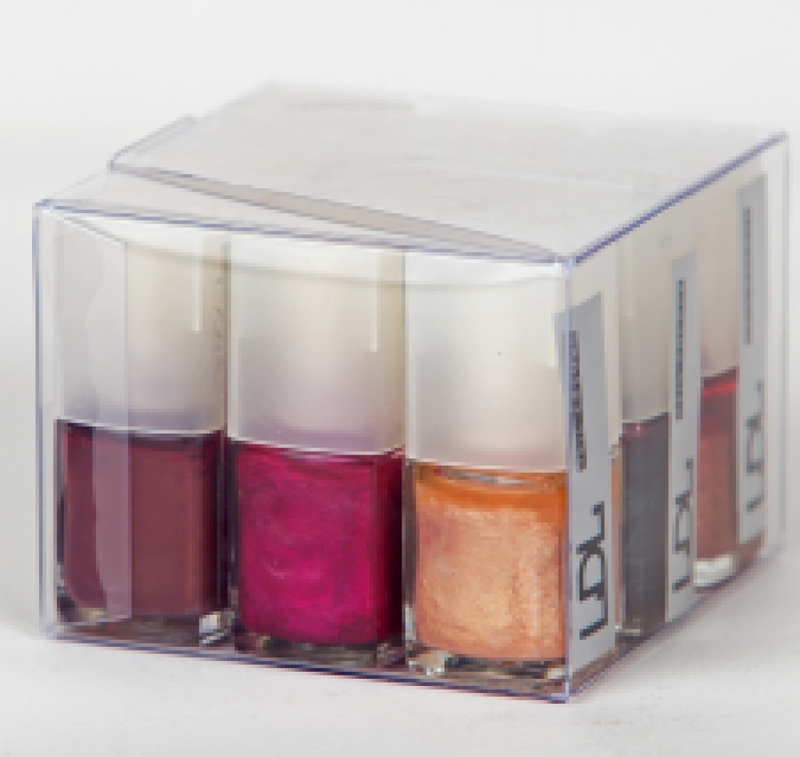 Combined with our transparent packaging solutions, your product will stand out on the shelf.